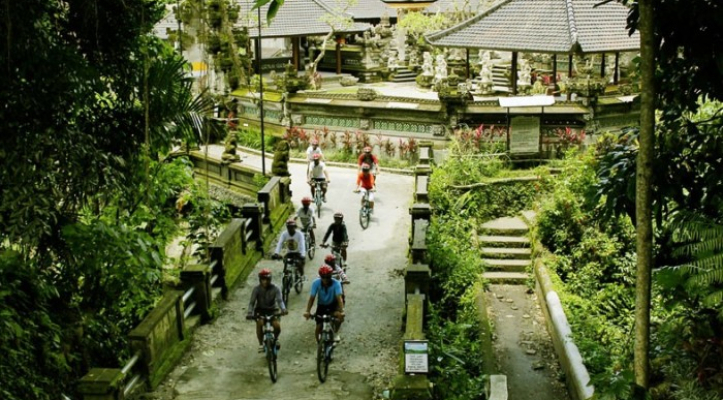 Start north up 20 minutes away from Ubud, which is we called Keliki Village. 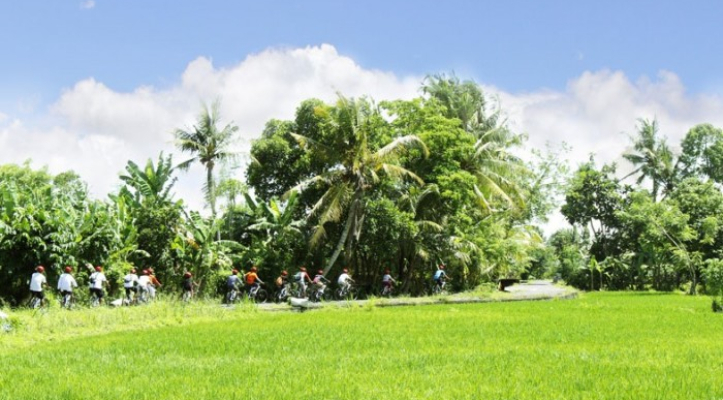 We ride down to Ubud to face very beautifull rice field and twin valley. We pass throught some unique villages and see how real balinese people a life. Step the garden to recognize clove some plantation, such as : coffee, chocolate, vanilla, and many other. We visit village temple to see around and has some information of it. Visits will be made at local dwellings that maintain traditional Balinese architecture and your guides will explain the functions of the different structures in the family courtyard. 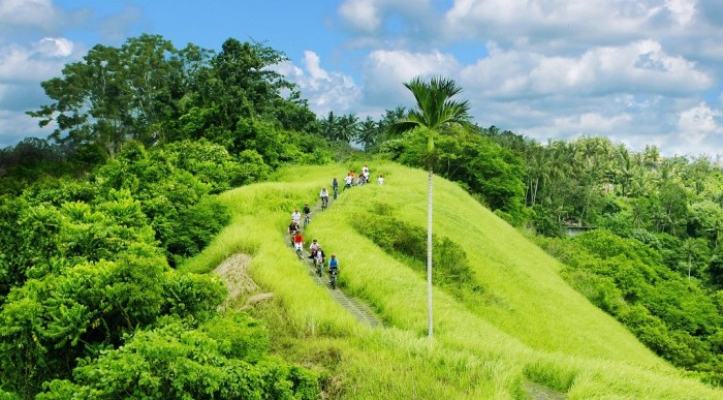 Cycling downhill, far from the busy traffic of the main roads, is the ideal way to view activities of the local village people and enjoy discovering the quiet pace of life of back-road Bali. Lunch will be provided upon arrival the finish point. Absolutely fantastic!! Loved every minute of it. One of the best Tours I have done, was soo good to go at push bike pace and relish every minute, Or guide was fantastic!!!! We simply LOVED everything about this tour. To be honest out of the 5 we've done so far, it's definitely been the best! The guide was very helpful and we had lots of fun with him. The cycling was really easy even for us (most of it downhill). 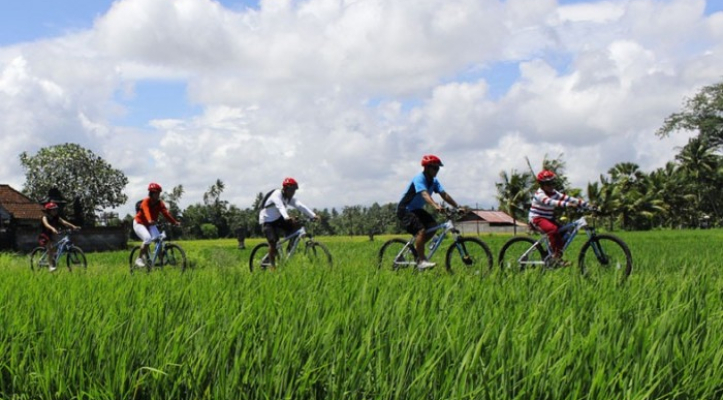 The best part was the cycling through the rice fields, which was just amazing! The tour took us through some villages as well and the guide was very helpful in providing us useful information about the local culture. 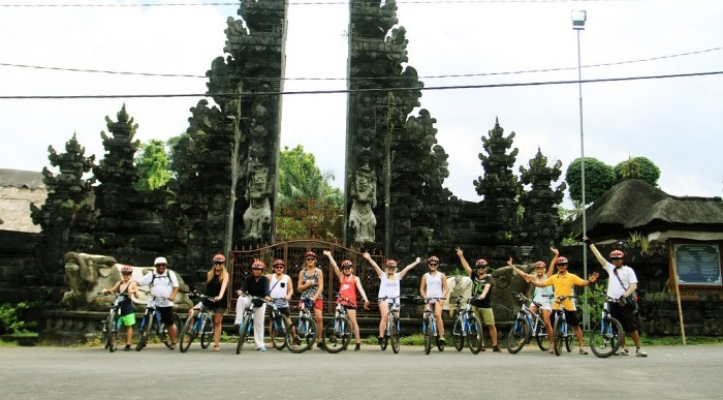 All in all, an absolute must do if in Bali!